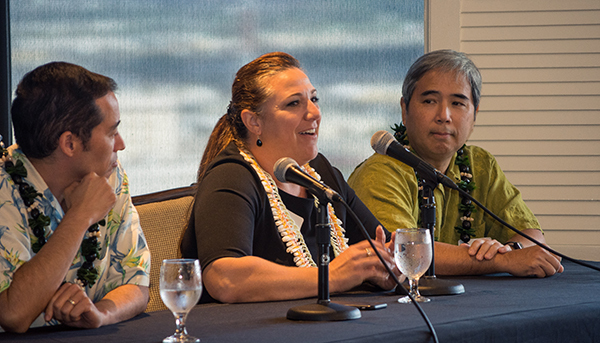 WiRE hosted a breakfast panel on Friday, July 20th from 8:00-9:30 AM to discuss broadband in Hawaii. The internet transformed the way we communicate with our friends, families and colleagues and the way we search for jobs, housing, and even life partners. Similarly, broadband is the bedrock of a new communications revolution that allows communities to develop “Smart Cities” infrastructure that enables innovation to address some of our most challenging problems from resiliency to traffic management to smart metering. 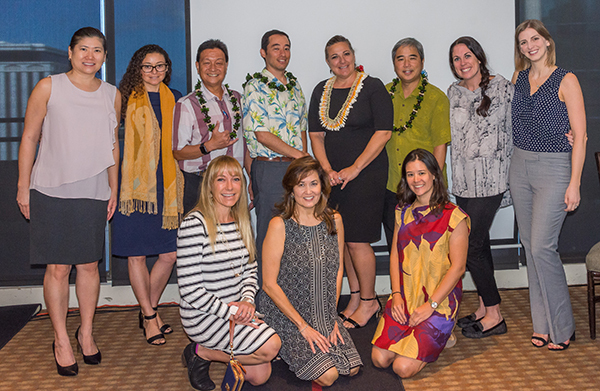 WiRE members joined the following panelists to hear updates of initiatives and programs on broadband in Hawaii. Jason Thune, Director of Network Development – Hawaiian Telcom, Inc.
Moderated by Burt Lum, Strategy Officer – Broadband, Department of Business, Economic Development and Tourism.